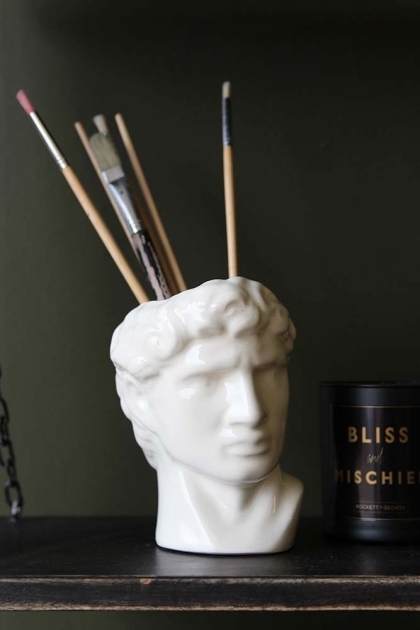 Bold and unique, the iconic conic sculpt of Michelangelo’s David shaped into a Display Vase can be used for a variety of purposes. 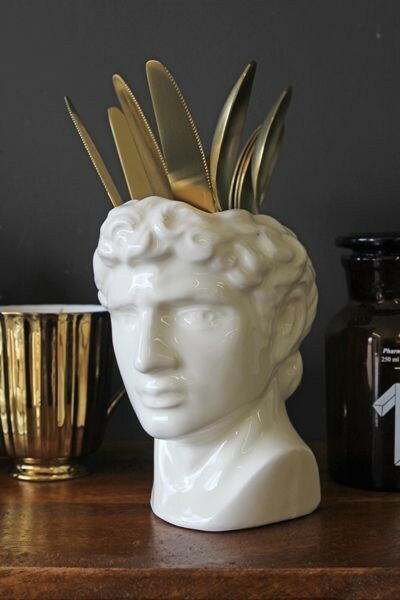 Fill David with an arrangement of flowers,fill with cutlery, use him as a quirky drinking mug or simply display him up high - either way the David Display Vase is a must have for anyone looking for something a little alternative to fill the home with! Dishwasher safe. Michaelangelo David is hand-made.